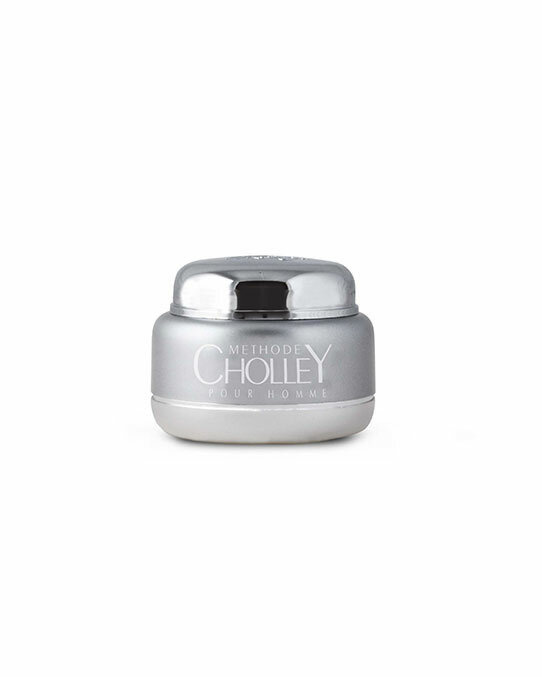 An outstanding protective and anti-aging product that helps maintain the structural integrity of the skin. BIOFORCE Crème Raffermissante can be used essentially on all skin types, but is particularly beneficial against wrinkles, lines, and double chins. Another major benefit of this luxurious cream is its elegant matt base that blends perfectly with all skin tones and eliminates undesirable shine — due to excess of oil— for a handsome and confident look. In the morning and evening, after thoroughly cleansing the skin with BIOFORCE Detoxifying and Purifying Emulsion, apply BIOFORCE Crème Raffermissante on the face, chin, and neck, with a light massage. To maximize the firming and anti-aging results, prior to the application of the cream, use BIOFORCE Lifting Gel. For normal and dry male skins.